In a desperate attempt to return home, an abducted child soldier risks his life to flee from Joseph Kony’s Lord’s Resistance Army (LRA) deep in central Africa after years of being forced to fight. When capture appears imminent, he encounters a stranger who must decide whether to help him – risking his own life, and the respect of his community. “They Came at Night” was shot in Dungu, northeastern Democratic Republic of Congo in Zande, the local language. The film was shot exclusively with first-time actors affected by the war and is the result of a long-term collaboration with those living in the middle of war, and created for those living in war. 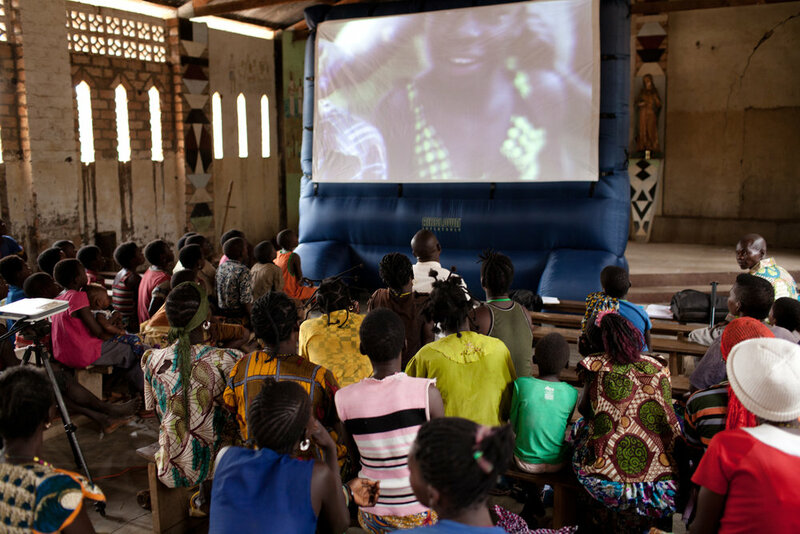 This film was toured across three countries in central Africa in 13+ local communities by local organizations and the United Nations. The film has been seen by 50k+ people in East Africa and has had 500k+ online views. The film was shown in conjunction with an in-depth facilitated workshop to prepare communities to peacefully receive LRA escapees who return home. Since the screenings, the UN has seen the defection of 37+ combatants.